“Live less out of habit and more of intent”, this quote echoed in my mind as rays of the sun pierced through the dark clouds to the break of dawn; my alarm goes off, it is 6 am. I wake up to Monday morning blues, yawn! Over the previous couple of days, I had the privilege of attending the most raved about event in East Africa, The Nyege Nyege international festival. The festival has for the past three years consistently and continually drawn people from all over the world to are treated to an array of intricate art forms and music within view of the scenic river Nile. The Nyege Nyege International Festival was preceded by an engaging Masterclass session that was put together by the British Council Kenya; East Africa Arts Division. 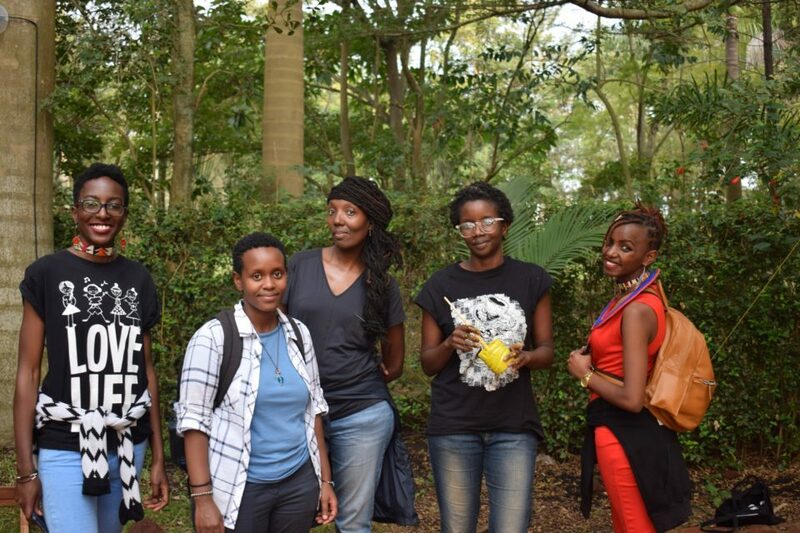 The Masterclass which was moderated by a formidable writer of the arts, Nana Ocran (UK), brought together a group of writers from East Africa who had a predilection for the arts. The writers who were: Joel Jemba (UG), Mildred Sakina (KE), Gloria Kiconco (UG) and I, Maureen Shelmith (KE) got involved in an embryonic project that was meant to bring up writers who can provide stories that would compel, educate, entertain and provide insight with content that is irreverent, informative and evocative. Our Masterclass sessions involved how to pitch for stories to an editor, the right techniques on interviewing and researching on a story, refining our editorial voice, creation of punchy headlines, sub titles and corresponding text. The fun part of the Masterclass session was the Instagram takeover. 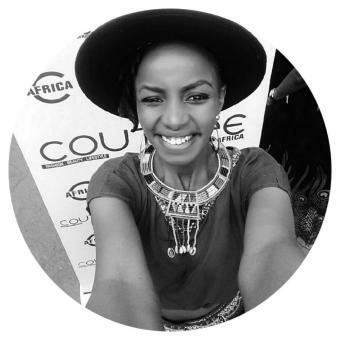 An Instagram takeover is taking over someone else’s Instagram account temporarily (East Africa Arts) and sharing content with their audience. Instagram takeovers are an incredible way for brands, individuals and influencers to collaborate and cross-promote content. (buffer social). 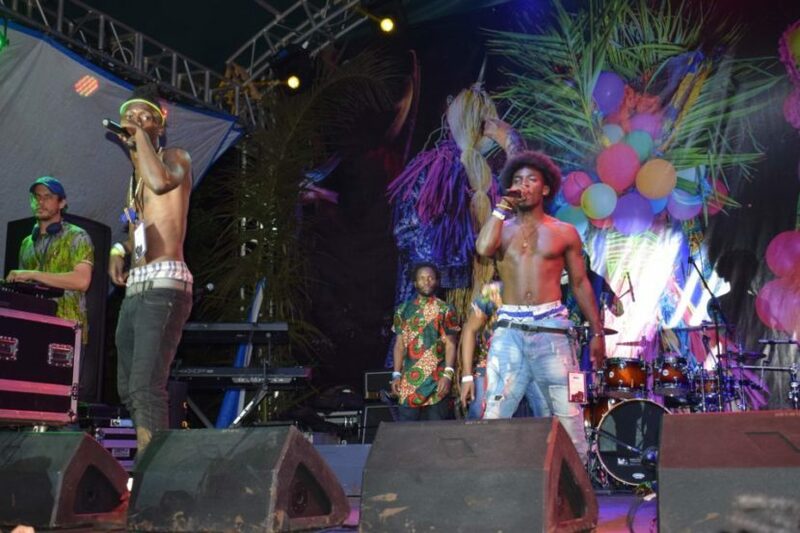 The fun-filled three-day event exceeded my expectations drawing around 200 artists from various countries on 4 different stages with approximately 7,000 fans attending. This year’s theme revolved around traditional music and art forms. There was an addition of a new themed stage of breath taking art projects that were on display which were evocative and thought provocative. I wanted to see various artists, however, the frequent clashes on schedule made me wish to replicate myself into numerous versions so as not to miss any of the artists I had intended to watch. If only an enterprising scientist could work on a way to do so *sigh*. Nyege Nyege being is an experiential event, the ticket prices varied from day to day depending on the acts performing. 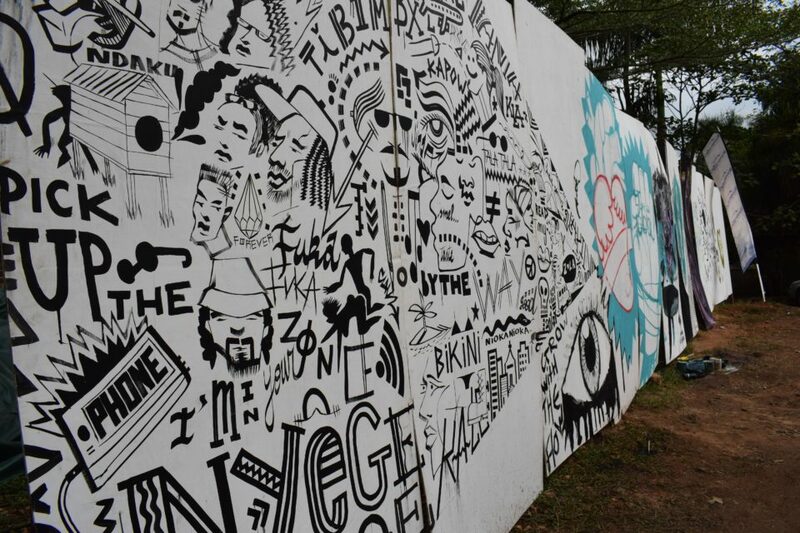 The Festival pass went for UGX 170,000 at the gate. Day tickets passes were: UGX 60,000 on Friday, UGX 100,000 on Saturday and UGX 70,000 on Sunday. I met up with Ishni in the crowd, who had flown in all the way from Japan, “I am so excited to be part of the experience and being at the Nile, quite unfathomable.” “I am at the source of the Nile!” She exclaims while sipping a beer and dancing. The entire crowd seemed to share the same kind of energy and enthusiasm. Food was in plenty, with fast foods, Indian and even Ethiopian cuisines available. What won my heart was the Ugandan Rolex which were at every corner. 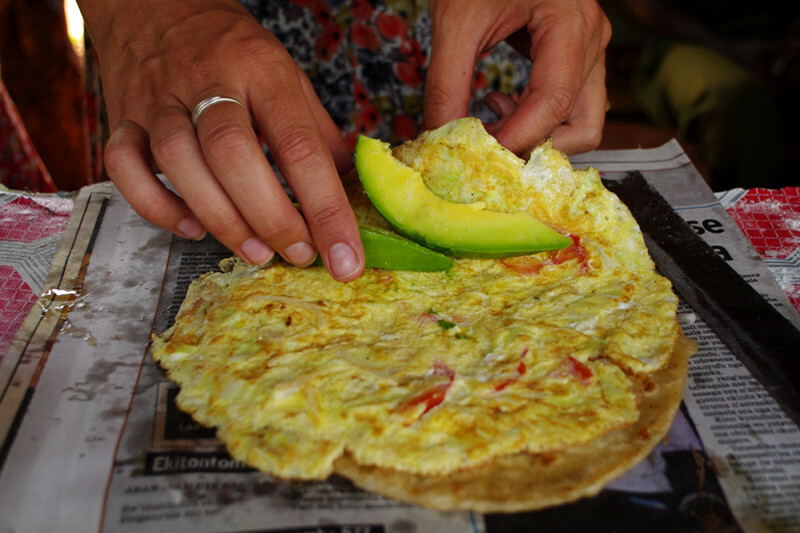 A ‘Rolex’ is a common street food in Uganda, a chapatti rolled up with a Spanish omelette. It that is an experience unique to Uganda. Despite the heavy downpour over Jinja Town, I was unperturbed by the changing weather conditions. Over time the earth pathways became slippery that leading to a sort of ‘slip and slide entertainment’. Many Nyege Nyege revelers found themselves slipping and falling down especially on the pathway that led to the bell stage (the main stage). Torrential rain formed rivers of mud rendering access to some areas impassable but the organizers of the event ensured that Mother Nature didn’t dampen anyone’s spirit and occasionally, as they poured saw dust in some areas. This acted like an anti-slip agent. It was rather hilarious to see individual taking down the pathway like feisty models down the catwalk then accidentally slip and realise a need for caution. One or two people slip and fell and I couldn’t hold back from laughing, all in good humour though. Ironically, water was a scarce resource at the event despite being at the shore of the Nile (and the rain), people opted to use beer or Waragi (Ugandan gin) to wash off the mud. The eternal disco was set up for people who wanted to reminisce on their youth. Various DJs mixed, experimenting with beats and bass lines that were heavily influenced with an African touch. These sounds paved way for new permutation of sound that was live, the crowd would groove and boogie all night till the break of dawn. 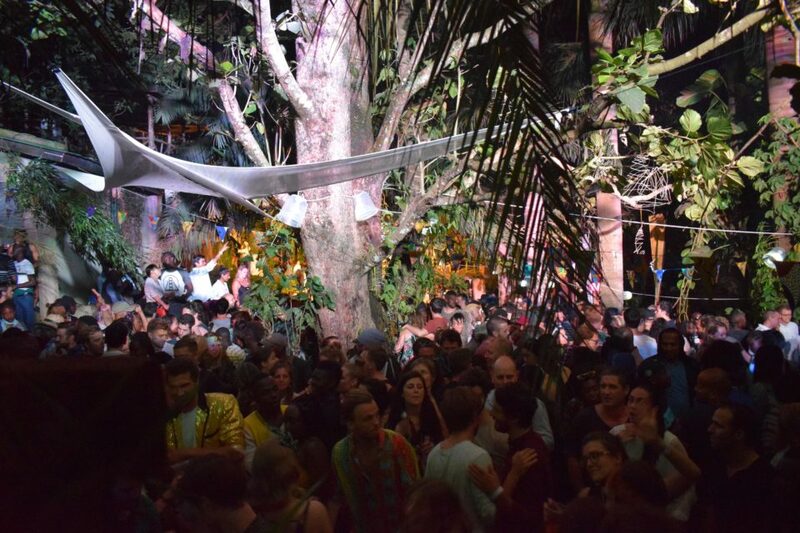 The Umoja sound system which was curated in Nairobi, Kenya, provided a 360o audio sensory experience. The stage set aside for those who wanted a touch of Caribbean vibe. The area had a circular ring, with people swaying to the mellow groove of dub and reggae. It was a perfect area to give your body a rest from the experience at the various electrified stages. The chill zone spot had a mellow feel to it. 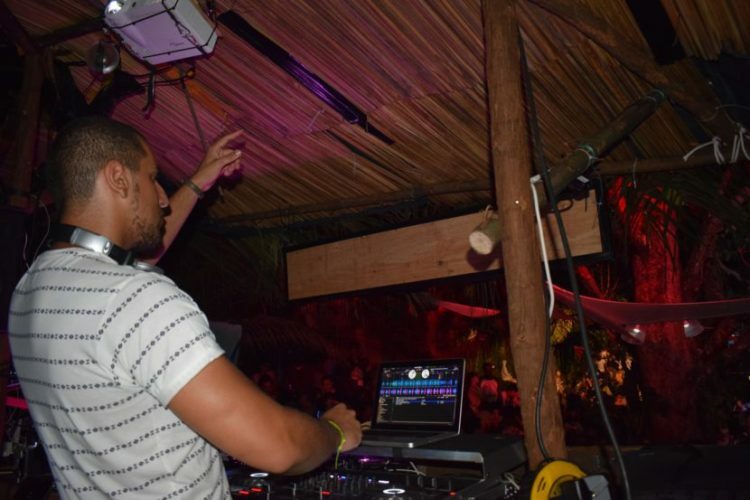 Various DJs played moderately slow tempo mixes to the crowds pleasure. The area gave an outdoor lounge feel, revelers who opted to be at the chill zone stage were mostly seated enjoying each other’s company whilst the DJs, provided the entertainment bit. The bell stage had various traditional acts. One impressive act for me was Moustique et la Cours Des Grands, their performance burst with electric energy, to an already electrified crowd. The band opened the floor for anyone who would like to join them on stage. There were heavy bouts of wild bum shaking, bilingual chanting. For 3 days revelers shared their national pride and co-existed amongst each other in peace and harmony. 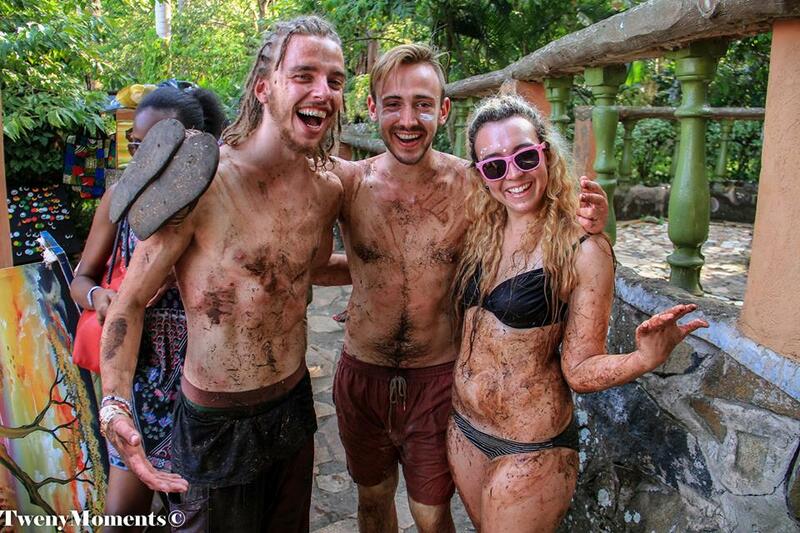 The Nyege Nyege bug will start-a-buzzing at the same time next year; it was truly a remarkable experience!